The holidays mean a lot of eating, which in turns mean a lot of people being extra motivated to hit the gym in the new year. But regardless of your reason for hitting the gym, Google’s now going to make it a little easier. The company today launched ‘Reserve with Google’ which lets you book a fitness class from the web. Just head on over to the new site, and you can search for fitness studios, get recommendations on new classes, or just book a spot in a class you already frequent. 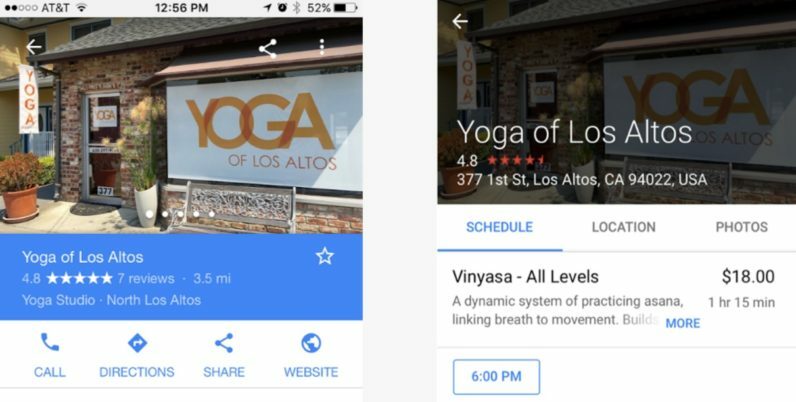 Google says it partnered with existing services like Mindbody, Full Slate, Front Desk, Appointy in order to pull its results, with others on the way. It’s a nice way of aggregating the various services, at least. The feature is currently only available in Los Angeles, the Bay Area, and New York, though we wouldn’t be surprised to see it expand to other regions soon. Google’s also planning on integrating it directly into Maps and Search for a bit of added convenience.